"I always know immediately where everything is and what state it's in." DeviceTrackTM maintains history and service records across multiple sites with ease and efficiency. 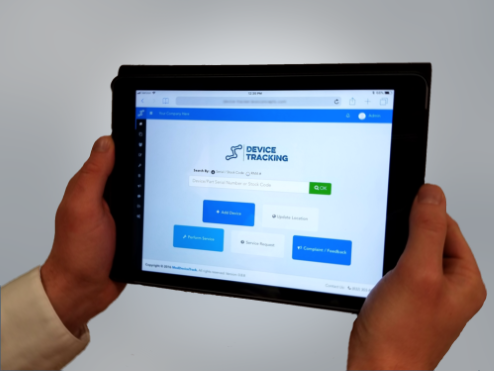 DeviceTrack's mobile-ready app integrates with your manufacturing system and UDI in order to offer secured field access to device-specific component catalogs. Remote managers and on-site techs can submit, track, and search service bulletins. Keep HIPAA data secure and DHRs accurate, up-to-date, and audit-ready for all post-market devices using DeviceTrackTM.